Thank you Florida Baptists for keeping the main thing the main thing! The faithfulness of Gospel preaching, teaching, witnessing, and ministering is clearly evident across our state. We celebrate together the blessings of God upon individual lives who trusted Christ as Savior and professed Him through Biblical baptism. 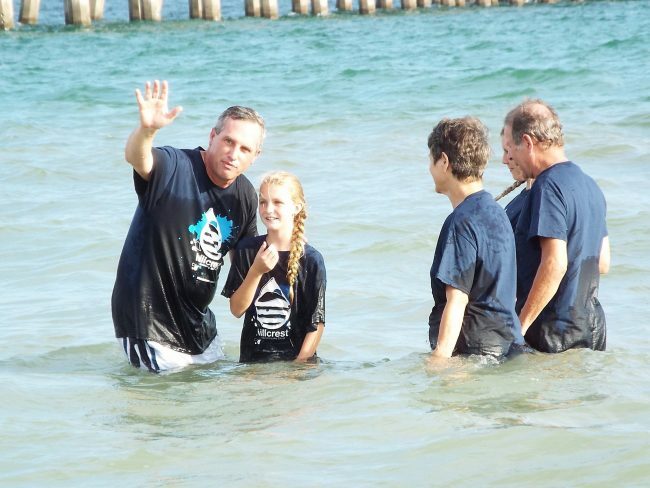 We rejoice that Florida Baptist churches baptized 24,954 individuals this past church year. How exciting that weekly the baptismal waters in Florida Baptist churches are being stirred! We joined together for our first state wide Acts 2:41 Beach Baptism emphasis this past year. The reports of the witness of Christ surrounding our state as churches gathered from coast to coast to baptize people was powerful. We celebrated together an estimated 1500 persons being baptized on this day! I encourage you to plan to join with other churches on May 6, 2018, for the next Acts 2:41 Beach Baptism. Churches went to beaches, rivers, ponds, swimming pools, fountains, and maybe even a large mud puddle this past year. I hope your church will participate in this great day in Christ. The Regional Evangelism Conferences are in full swing. We have already met in the West Region at the Baptist College of Florida and Central Region at the Church at the Mall in Lakeland. You have more opportunities coming for the next four Evangelism Conferences. On April 16, the Southwest Region EC will be at Colonial Oaks Baptist Church in Sarasota. The North Region EC will be on April 30 at Westside Baptist Church in Gainesville. First Baptist Palm Coast will host the East Region EC on May 1. The Southeast Region EC will be held on October 27 at Estrella de Belen in Miami. The Evangelism Conferences provide information, instruction, and inspiration in evangelism. Plan to join others in these dynamic meetings! We celebrate every salvation decision for Christ! The following list identifies the leading 100 churches in Florida in baptisms. Thank you Florida Baptists for your faithfulness in evangelism!